Being from Michigan with its stretches of cooler weather (all four seasons!) 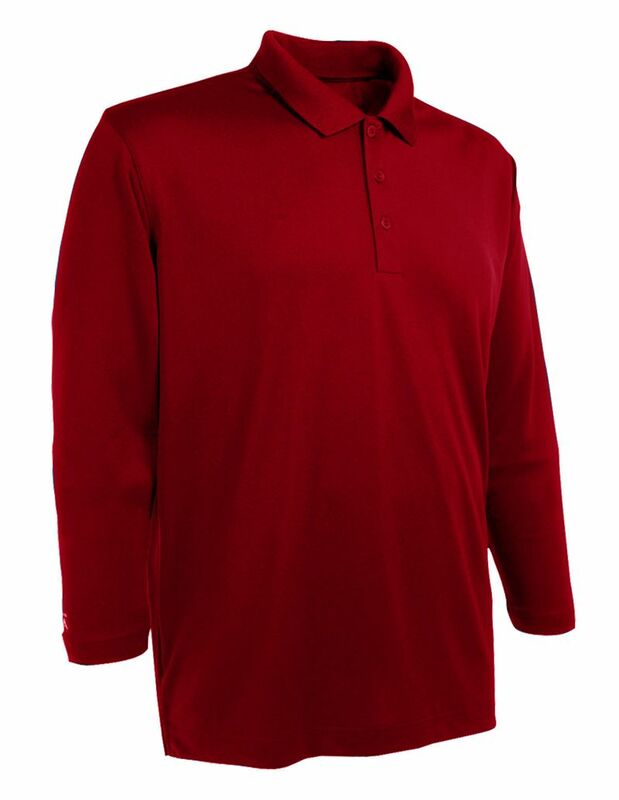 I’ve added more long-sleeve shirts to my golf apparel. On a chilly morning in the spring or fall, a long sleeve shirt under a vest is often a perfect combination to ward off the chill. That’s why I particularly like Antigua’s long sleeve golf shirt called Exceed. Made of 100% polyester micro flat pique, the Exceed line is a solid 3-button polo with a flat knit collar and open cuff. It also boasts Antigua’s patented Desert Dry™ Xtra-Lite D²XL moisture management property so as the day heats up, the shirt won’t. As an added feature for those careful about the sum and their skin, the shirt provides a 50% Ultraviolet Protection Factor. 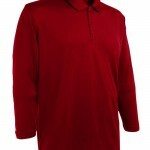 Overall, the shirt has a very comfortable fit and feel and performs well in all normal playing conditions. I also like how the Antigua logo is understated on the right sleeve. Two other shirts from Antigua also receive high marks. One is the Striker line from Antigua’s Performance Collection. It’s a snazzy striped short-sleeve model with moisture wicking properties in a knit yarn, three-button polo. Even after several washings, the collar still looks fresh and rests flat. The other shirt is part of Antigua’s Essentials Collection (as is the Exceed.) It’s the Pique Xtra-Lite short sleeve, three-button polo available in 35 different solid colors. It also features moisture management properties so it’s ideal for lucky snowbirds headed for Florida and Arizona this winter. And both the Striker and Pique Xtra Lite have the logo on the right sleeve.